Following recent discussions about the benefits of wearing a cycle helmet people might be thinking about replacing or upgrading their own. 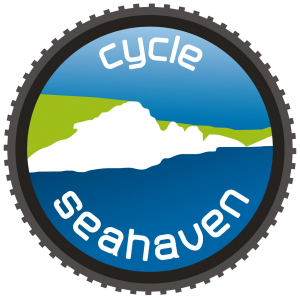 Freedom Bikes are offering Cycle Seahaven members a discount on selected bike helmets. From now until November 14th they are offering 15% off all 2017 model Bontrager cycle helmets and 10% off all 2018 models – including pre-orders of upcoming models like the exciting new Circuit and… Rally. Most models are available with or without the MIPS insert, but we highly recommend going to a MIPS helmet to protect yourself from rotational injuries. This feature is even extended right down onto the very smallest children’s helmets. All they ask is that you bring your CSH membership details with you to the store to qualify. 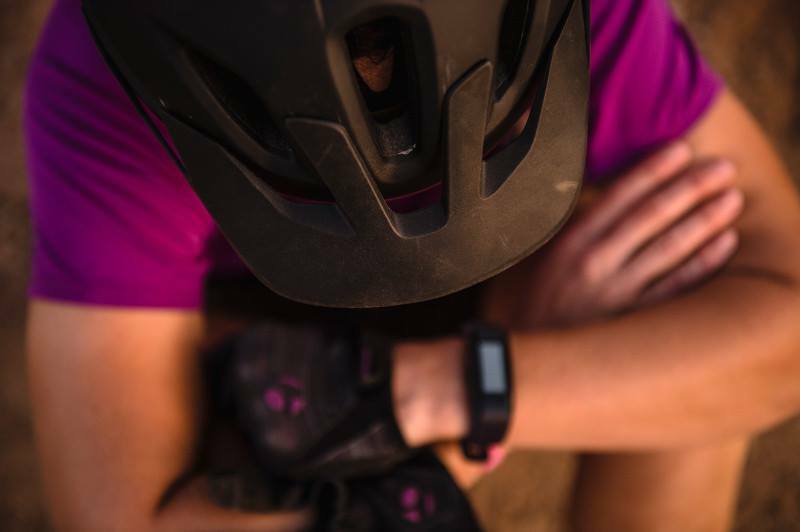 Every Bontrager product comes with an Unconditional 30-day Guarantee, so you can bring it back even if it’s been used, and the helmets each come with a 1-year free crash replacement policy! 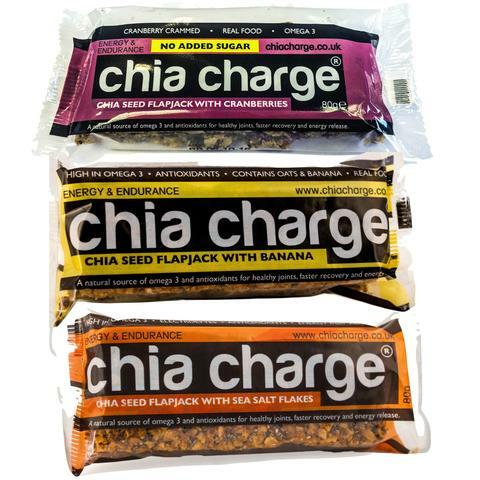 Following the last bulk buy of Chia bars by the club, I’ve had requests to repeat the order. If you want to buy any please contact Guy Reynolds using this link stating what bars you need and how many. Alternatively, add your name below the post on the CSH Facebook Group page. Sea Salt, Banana or Cranberry bars can be mixed into any combination of a box you like. 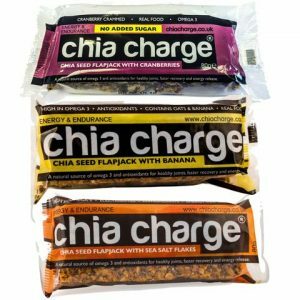 Chia Charge also make the following energy bars click here All Chia bars can be ordered at a 20% discount to club members. Payment on collection, please. 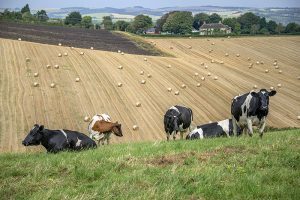 There’s more livestock up on the Downs at the moment as we go into Autumn and it is important to shut gates when you go through them. It’s tempting to just let the gate swing back on its own weight or give it a shove and hope but please make sure it’s latched closed when you leave it. There is a perception among local farmers that MTB riders are less good at shutting gates than walkers – they think we just want to get on, not get left behind by a group if we’re at the back etc. It’s important that we’re seen to be doing the right thing so please make an effort to ensure gates are secure when you leave them. 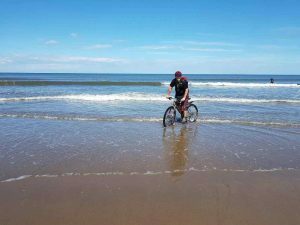 Love cycling and want to give something back to the community? 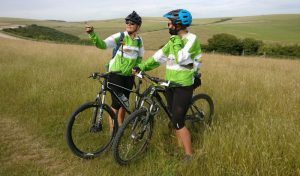 A short while ago several CSH members expressed interest in the Cycle Without Age (CWA) initiative that recently started in Brighton. Simply put it involves the use of a rickshaw, ridden by a volunteer, to take elderly people out in the fresh air. The concept started in Copenhagen, Denmark, and is taking off around the world. More information can be found by clicking on the attached link. 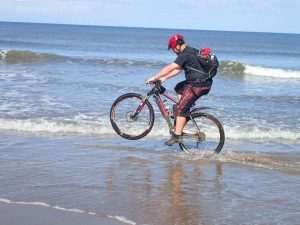 Peter Tattam has asked if any Cycle Seahaven members, or anyone, would be interested in starting a new Seaford ‘chapter’. If you are interested or able to help in any way (not necessarily as a rider) please contact Pete using the form below. Your response will also go to the Cycle Seahaven committee so we can help coordinate and support any future project. https://cycleseahaven.org.uk/wp-content/uploads/2018/02/Tri1.jpg 2048 2180 Guy Reynolds http://cycleseahaven.org.uk/wp-content/uploads/2012/04/CycleSeahaven2-300x298.png Guy Reynolds2017-10-04 14:54:162018-10-03 14:53:55Love cycling and want to give something back to the community? Last Instalment of Andy Marks’ epic adventure, including some top tips. We woke up on the third and final day to a few spots of rain in the air. However by the time we’d eaten our porridge and arrived at the start line at 7:10 the rain had stopped and the sun was out. We were told it was 15km to the first water station and then another 17.5km to the lunch stop. I queried why the lunch stop was only 20 miles into a 60mile day but was told it was what it was. We set off and found the first water station at 15miles and the lunch stop at about 33miles… They’d got their units mixed up, not a problem for me as I’d carried enough water anyway, but I know a few other people came up short and struggled as a result. It was hard going from the start, mostly off road with steep climbs and fast technical descents on single track through the trees. A fantastic mornings riding but I was starting to struggle by late morning so didn’t enjoy what should have been some of the best bits as much as I could have. I wasn’t the only one, there were some big crashes brought about by people being tired, not concentrating and making mistakes. I spun out on a root going UPHILL, didn’t get my foot down in time and toppled into a barbed wire fence. Fortunately I managed to catch the fence post and avoid the worst of the barbed wire, so carried on. Others weren’t as lucky, there where people at the lunch stop with ice packs but they had got this far and weren’t going to stop. I came across 2 lads about 10 miles from the lunch stop with a broken chain and absolutely no idea how to fix it. I stopped and helped but, as with the puncture on the first day, I couldn’t believe people come on this sort of trip without even a basic idea of how to maintain their own bikes. We got it sorted but it had seen better days. I was quite relieved when they arrived at the lunch stop later and took the bike to the mechanic station to look at it. By late morning I was starting to look at my watch and for the first time all weekend I was concerned by the cut off times. We were supposed to be in Scarborough by 4pm and I was beginning to push it a bit – I hadn’t come this far to get a DNF (did not finish). Upon arriving at the lunch stop I realised how many people where still behind me and was then informed 4pm was a target time and not a strict cut off – panic over. Once again we came out of the lunch stop and started climbing. Surely it can’t be far to Scarborough now? A marshal on the side of the trail told me this was the last big climb – she lied. There where at least 2 more after that. More fantastic riding over the rolling hills, very similar to the South Downs Way now, some of the views could easily have been in Sussex. We finally descended down through the town and onto the seafront at Scarborough, across the finish line at about 3:30 – so I’d have been alright even if it was a 4pm cut off. Today we’d done 63miles and 6100ft of climbing. I saw a lot of people at the finish line that I’d ridden with at various points over the weekend, it was nice to see how they had all got on and see that they had finished. We took the compulsory photos by the sea, had an ice cream and headed off to our hotel where a hot shower and sauna awaited. While sat down having dinner in the evening we talked about maybe going out and riding the Dalby Forest trail centre the following day. It was on the way and we reckoned we could manage an hour there before carrying on home. As we stood up to walk back to the hotel any idea of getting back on a bike the following day went out the window – I think it would be fair to say we were all finished. The following morning we headed for home after breakfast and as we sat in the car it started raining. We couldn’t believe how lucky we had been, it was raining when we arrived at the start line and it was raining as we drove away from the finish – but we’d done 3 days riding in the shirt sleeves and never even had to put a jacket on! It had been a fantastic weekend and we are all very glad we did it. And as for next year The Crossing 2018 – No chance! Been there done that, I’ll find a new challenge for next year. Train – I can’t overstate this enough. I managed it but I definitely didn’t enjoy the last day as much as I could have. Don’t worry about speed but the fitter you are the more you will enjoy it when you get there. Get a toolkit, and learn how to use it – You’d be very lucky to do a trip like this and never need to do anything! 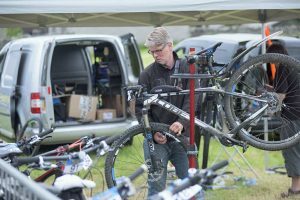 Letting the shop set your bike up is OK, but make sure you know how to do the basics on the side of the trail. Get off and push – Unless you have legs (and drugs) like Lance Armstrong you aren’t going to be able to ride all the hills anyway. So be prepared to get off and push, especially on day one. Save your legs for when you can actually enjoy the riding rather than burning out early. Sports massage – If it’s available, use it. I’m convinced these 20 minutes at the end of each day where what kept me going for the following day. Eat and drink – I haven’t done the sums on calories burnt and so on, but you need to eat and drink a lot. I used High 5 tablets in my water and at a mixture of energy bars, gels and chocolate brioche rolls which made a nice change. I find proper food rather than just energy bars and gels work better on longer rides but whatever you do practice before you go, try things out while training to see what works for you. Don’t try anything new while you’re there. It’s worth finding out what the event organisers supply so you can try it in advance, then if it works you don’t need to carry as much of your own stuff. Ride on your own – If you can’t keep up with the people you set off with let them go. You won’t really be riding on your own as you soon drop in with another group travelling at your pace. Meeting new people this way was one of the most enjoyable parts of the event for me. Slow down – They call it the Rat Race. But it isn’t really a race for most of us. Slow down, look at the scenery, take pictures, talk to strangers and enjoy it. Having picked up my brand new (to me) bike frame and decided that I was going to build it myself, I thought that I should jump right in. But where should I start? Wheels. Definitely wheels. Not only because they are one of the only parts of a bike that I can confidently name without resorting to my bike parts diagram, but because they are big and substantial. And easy. And wheels are wheels aren’t they? Confirm the spacing of the rear axle requirements. The wheels above are 142 and won’t fit if the Singular Hummingbird is the same. The front wheel in this set is a boost hub and will only fit into forks that are new and will accommodate such wide spacing. Do you want a singlespeed specific rear hub i.e. One which will only carry one cog ? These have many advantages and the spacing and dishing is completely different to a 10/11 speed hub. 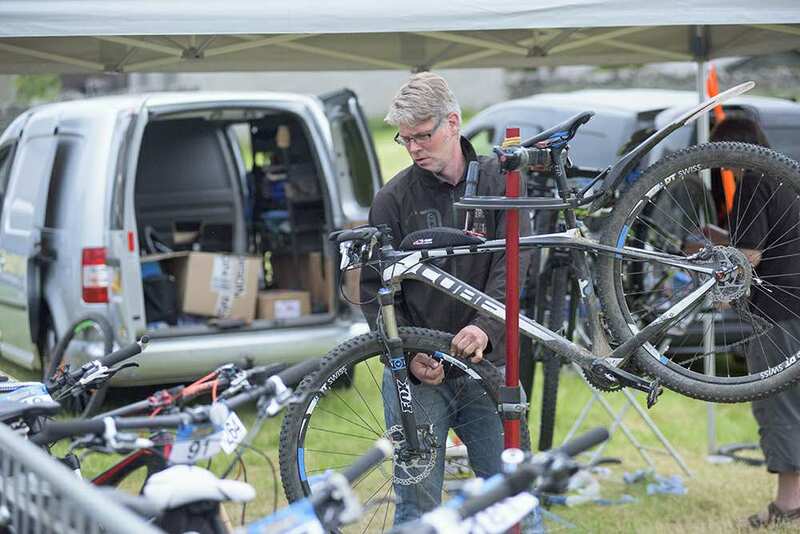 Do you want a tubeless set up? Most rims will accommodate a tubeless set up – some with rim tape others without ? How wide a tyre do you want to run ? Although here you will be governed by the rear dropout in the frame. However you may decide to run a 29+?front tyre which would require a wider rim ? Eeeekkkkkkkk. My answer to all these questions was ‘I don’t know’. Not a clue. Lots and lots of people went on to recommend Hope Hubs with a reliable rim. The hub for those of you who don’t know is the bit in the middle of the back wheel that attaches to the frame. I was beginning to feel ever so slightly overwhelmed. Everyone likes a 69er, right? Just looking at the Hummingbird specs and the few bits I have found say it’s a 69er, 26″ on the back 29″ front but others may be able to confirm. The Singular Hummingbird is a frameset we have developed for the smaller rider. It can be used either with a 26″ wheel and a suspension fork up front, or a 29″ wheel with the dedicated rigid fork. 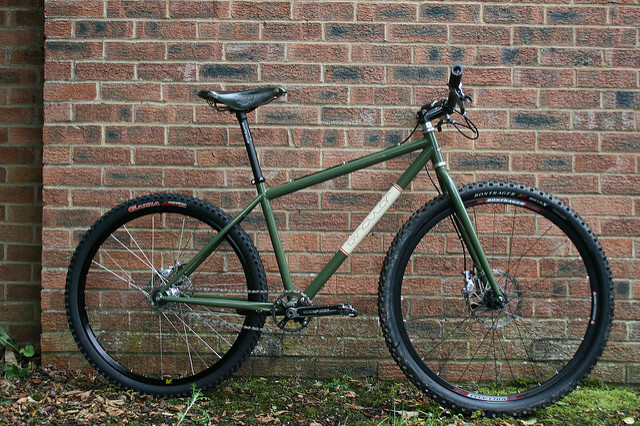 It also has the versatility of running gears, singlespeed, or an internally geared hub. Singular Hummingbird. the front wheel doesn’t look THAT much bigger, does it? Bugger. I obviously missed the fact that you could have a 29” wheel up front, but the rear would be 26”. Oops. What had I done? Had I bought the proverbial pig in a poke? General consensus on Friston MTB was that it would still be a fun bike to ride. Still, my head was ready to explode with possibilities and options for my wee bike, to the point where I was so overwhelmed with options that I may very well have done nought and left my lovely frame hanging on a nail in the garage. Taking a deep breath, I made the decision to just build the damn bike with whatever I could find / am given and then worry about upgrading at a later date to carbon rims / tubeless / wings / fission powered bike lights. 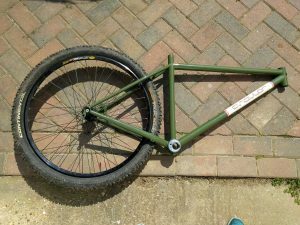 When a fellow Friston MTB’er said that he had a 26” rear wheel for sale, I decided to embrace my odd little bike frame and just get on with it. Another meeting in a car park was arranged, this time in a pub car park, thankfully with no dogging references on google maps this time. The lovely Jim mentioned something about spacers which obviously meant NOTHING to me. 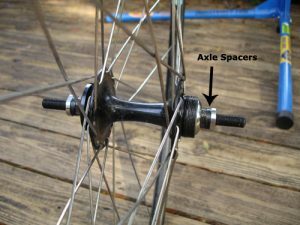 Google helpfully explained that spacers are little round bits which go either side of the hub to make the frame and other assorted bits sit in the right place. There were two on the wheel already which meant that it fitted perfectly to the frame. I now had a unicycle! Can you spot the deliberate mistake? That is until a week later when I had a couple of fellow CSH’ers round on a Friday evening for a quiet drink. They both admired my Singular frame, but it was Tim who found the courage to tell me that I had the rear wheel on the wrong way round! Not a brilliant start. But a start nonetheless. Next time: Pedalling english as a foreign language…. Guys and Girls, just a reminder of what you are missing on a Friday night! This was the first 2B ride for 2016, only two riders so we went out with the 3C. Here are 3 short films of parts of our ride. You will see from the speedometer on the filming that I don’t exactly go fast, so if you are tempted to give it a go, let me know, we are out every Friday night unless raining, proper off road lights are cheap now and by prior arrangement, I can lend you one for your first ride with us to see if you like it. A minimum fitness is required as we are out for around two hours and do have some hills to climb before we can enjoy the downhill single tracks. For the moment Friston is fairly muddy so winter knobbly tyres are required. If you are interested contact me via email.